A CGI truck going over a cliff, a man in a hairy suit, murder and torn faces, surely this is a Sasquatch-ploitation film. 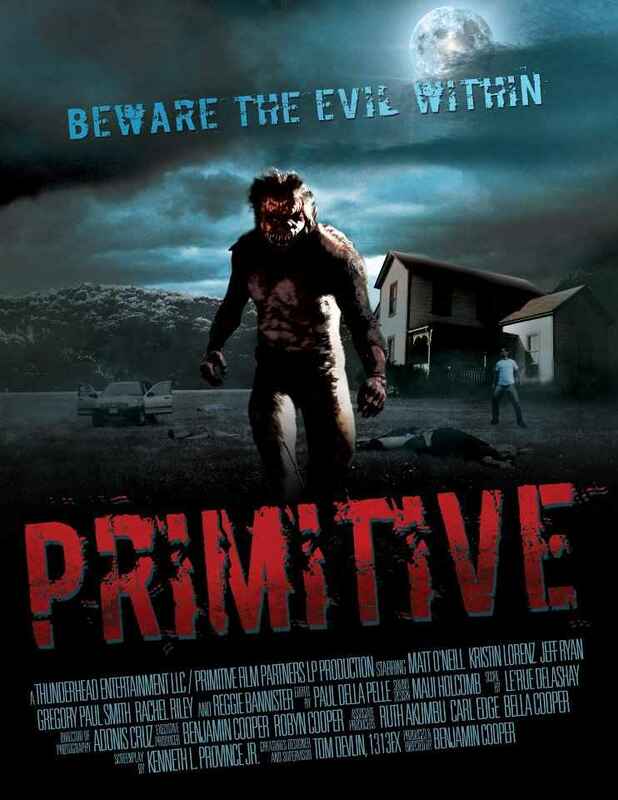 Primitive might be more than that as its story tells tales of a special effects artist and his realistic nightmares. If he dreams of their death, then it happens not much later. Soon, a whole town is in danger with Martin (Matt O'Neill) connected to each of the gory murders. Who will be the next to meet the beast? Currently, Primitive is attending Cannes 2012 with distribution on the horizon. For now, enjoy the film's official trailer and poster found here and below. Writer: Kenneth L. Province Jr. Cast: Matt O'Neill, Jeff Ryan and Reggie Bannister. 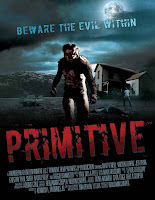 *the poster showing a full moon could allude to Primitive being a werewolf film, oops.